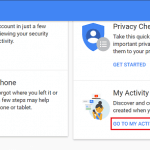 You are here: Home / Delete Social Media / How to Delete Telegram Account? 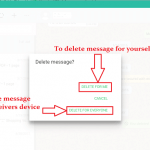 Deleting Telegram removes all of your messages and groups, channels, bots completely. Entire contact lists will be deleted once the telegram is deleted. You cannot undo the deactivation. Telegram account cannot be deleted using Telegram application. You have to use an internet browser like Google Chrome, Mozilla Firefox, Microsoft Edge, etc. When you sign up Telegram account later, you won’t be able to restore Telegram chat history and access to channels and groups formed before deleting Telegram account. First of all, visit Telegram Deactivation Page?through any web browser you prefer. Enter the phone number with which you have signed up Telegram account. You have to enter your phone number in international format. ?The phone number should be in the format as +country code/Area Code/Number. Once you enter the correct phone number, you will receive a message of confirmation code in the Telegram account. After that enter the verification code in the box and then click ‘Sign in’ option at the bottom of the page. Telegram will now ask you the reason for?deleting Telegram account. The telegram has made it compulsory to?enter the reason for leaving it. Therefore, you will not be able to proceed further without mentioning the reason for deleting telegram account. If you have particular reasons for leaving the Telegram, then enter the valid reasons so that Telegram group will consider your feedback and make necessary changes to the software if required. Otherwise just enter any random reason and after that click on ‘Done’. 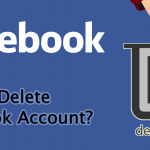 Finally?click on ‘Yes, delete my account’. Your Telegram is now permanently deleted. 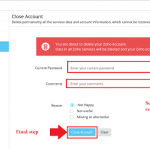 You will subsequently lose all the data shared via Telegram forever, for this reason, you should save all the data you might require in future before and then proceed to delete Telegram account procedure. Recently Telegram has added a?new function of account self-destruction. This function provides you the option to automatically delete your Telegram account permanently if you don’t use your account continuously for a specified period. Therefore, now if you don’t like Telegram then stop using it for the time that you have chosen to self-destruct your account and your account will be permanently deleted. Open Telegram app on any of your devices. Tap on a menu icon ( 3 horizontal line arranged in a column) at the top left corner of the page. From among the options that slide out tap on “Settings”. This will take you to the settings page. In the settings page tap on “Privacy and Security” tab. Now in Privacy and security page swipe down and find the option “Account self-destructs”. A sub-window will appear. From the sub-window choose the time after which your account will automatically delete if you didn’t use Telegram continuously. Tap and hold the Telegram icon. After holding it for a while, two option namely; ‘Remove’ and ‘Uninstall’ will appear on the top of the screen. Now, drag the application to the?“Uninstall”?tab and then release the icon. A confirmation sub window will appear. Tap on “OK,” and Telegram application will be uninstalled from your smartphone. I don’t have an account on my number. But my friends are saying they are gettng telegram messages from this number. I tried to open the account. But its protected. And so i gave reset option. But it takes 7 days to reset. Please help me. I am scared. I don’t know what to do. Please help. If you still have access to this number, you can always deactivate Telegram account. But the problem on your case is you do not have access to Telegram account. Now you can use the Web version of Telegram to Log into and receive a deactivation code. 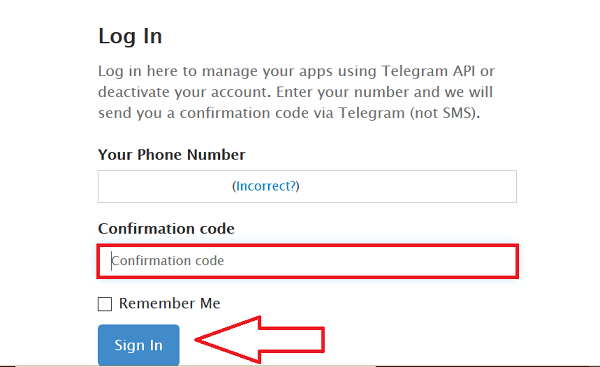 On your PC, go to Telegram Web Version and Sign into Telegram using your Mobile number. 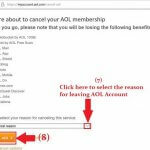 Now go to Telegram Deactivate Page and follow the steps. Note: you will receive the confirmation code to delete Telegram account on the chat log in the Web version. But there is a password protection as well which someone has set. So how can i login? You can use web version of telegram to login your account first. But make sure you have access to the phone number. You will receive activation code on your phone. Recently changed. Pmhone number do not have access to delete telegram account can I contact telegram by phone . You can not contact Telegram by Phone, but you could write your problem using Telegram support page. I have a telegram service site for the people of Iran. Hi i’ve recently deleted my telegram acc. Few times and how long should i wait till i can make a new account with the same number ? You can only create account for the same number no more than one time in two weeks. Also if you delete account again and try to register it again, ban time will increase.